I'm An XL If You're Shopping For One. This little bundle of crackingly’ joy looked great for about three washes until Mom’s dryer made the thing breakdown like an acidic fresco. You may recall the word "Foxy" being used more than once during this genre. The airbrush – Mr. T, county fairground couples on their second date and bad rip-offs of Ed “Big Daddy” Roth blanketed the streets for several years. If one of these lil' gems didn't get you laid then you were doing something wrong. The single-color – Cheap bosses everywhere can attest that this is the best bang for the buck but it usually looks like what it is. Did I fail to mention every local cover band – ever? The text only – Dominate this decade as been the clever spin on words. From finding Jesus “behind the couch” to Florida being a “tropical depression”, these little masterpieces of the pen are quite fun. The fake product – This genre I think was single-handedly inspired by the rave counter culture of the early nineties (yes, that means if you’re blowin’ up right now you’re dated and sad). 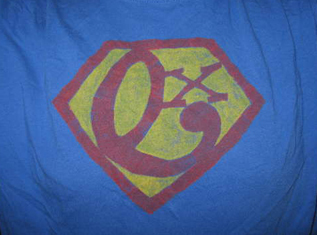 Such as the classic “ONEXX” that was done to replicate the Exxon logo, funny but sad. Don’t laugh pot-heads there’s a 1,000 designs out there for you too. The Concert Shirt – In high school this was more a uniform for me. I had a heavy-metal concert shirt for each day for a month without rotation. Ah, the need to express youth induced hormone personal angst! The bad silkscreen – This movement that came from designers such as AFFLICTION and others is hugely popular right now. I say that when I see any design style end up in Target that was once $120 a t-shirt. Posted on August 17, 2009 by Justice Mitchell and filed under Design, Soapbox and tagged Timeline clothing design logos t shirt t-shirts trends.